But now, the boat has been pushed out even further with the label’s latest collaboration with the kings of street football, Copenhagen Panna House. 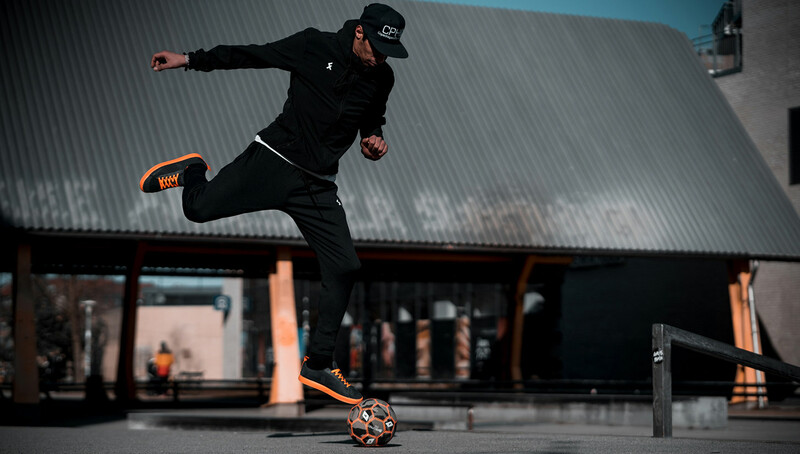 Parts of the latest collection released last week are accompanied by a clear message — that 4Freestyle is for street football too. To add hype to the release and keep their audience guessing, 4Freestyle sent out a teaser with panna legend and CPH co-founder Amin Benmoumou wearing some 4Freestyle gear in a street court in Copenhagen. Along with the mention of Panna House in the clip we knew something big was coming. Some people speculated it would be some sort of event announcement of a freestyle football and panna tournament, but instead our minds were blown to see a new line of products from the ever-surprising 4Freestyle conveyor belt. This included two new models of Explore III shoes specifically with street football in mind, as well as two new colorways for the popular 4Freestyle mesh shoes. To top it off and really heighten curiosity there were also two new balls, one for street football and one for freestyle. The street version of the Explore III has a stronger heel with extra support. It also clearly has more rubber print that goes along both sides of the upper which is said to be for more protection. 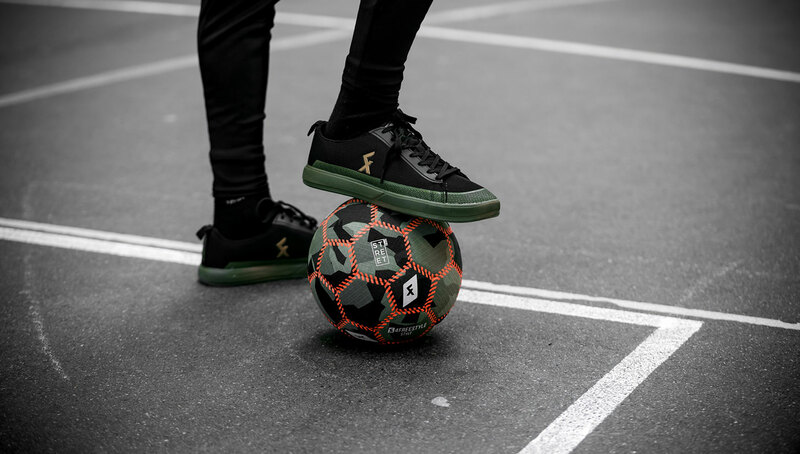 The collaboration with CPH is a sure fire way of ensuring that they understand the needs of the street football community better, in addition to striving to develop the best possible street football gear. The new colorways of dark grey/orange and black/green certainly have a street feel to them. They look distinguishably different from the other models of 4Freestyle shoes already out there, and they also pair up nicely with the new range of balls that 4Freestyle offers. 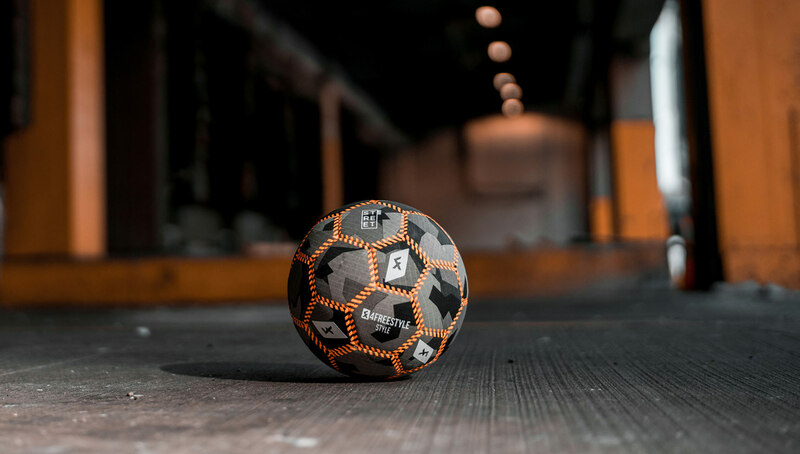 Speaking of the footballs, the StreetStyle model truly looks fit for any street pitch and 1v1 challenge. The design boasts a custom camouflage canvas fabric that is said to maintain a soft touch. It’s an official street football size with a lower bounce bladder as you’d come to expect in this sport. The FreeStyle model on the other hand looks like a cross between the StreetStyle ball and the already existing 4Freestyle Grip ball in terms of appearance. No doubt this makes for an ideal all-around ball with the high level of quality and meticulous product design that 4Freestyle continues to deliver. 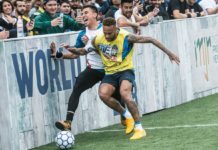 Many might be scratching their heads as to why 4Freestyle, a label that has prided itself on the slogan of “by freestylers, for freestylers,” is crossing over into the territory of street football, its distant cousin sport. There’s no doubt that the popularity is there. Looking around on social media, pannas seem to be very well praised and enjoyed — just as much as freestyle in terms of content. Not to mention the increasing number of street soccer and panna events taking place around the world. 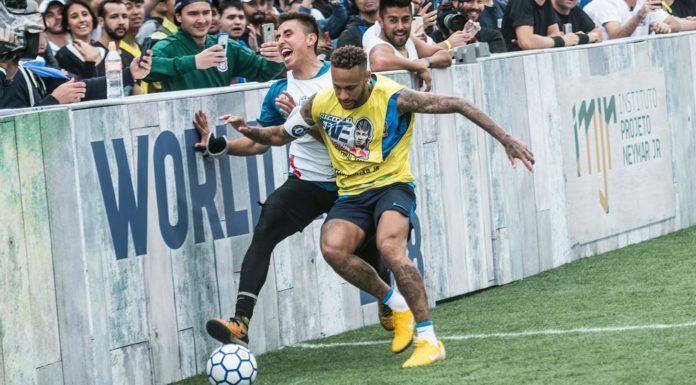 Additionally, CPH have been long-term admirers and supporters of the freestyle community and have been involved or present at many freestyle football events over the years. Let us not forget that for many, the flair and creative side of the beautiful game is what has led people down the road of discovering and getting interested in freestyle in the first place. Regardless of whether it is on a pickup match at the local neighborhood court or a circle at a freestyle meet, with a ball at your feet you are free to express yourself. We think it’s a great coming together of two powerhouses in urban sports and look forward to seeing what is next. Shop the entire 4Freestyle x Copenhagen Panna House line now via the 4Freestyle website.